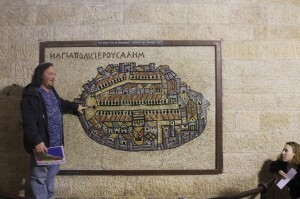 In Jerusalem’s Cardo, with a copy of the famous Madaba Map. I pride myself on customizing my tours to my tourists’ needs and desires. Many guides have “standard” tours that they give over and over again. And while I certainly have some trips that I give frequently due to their popularity (e.g. 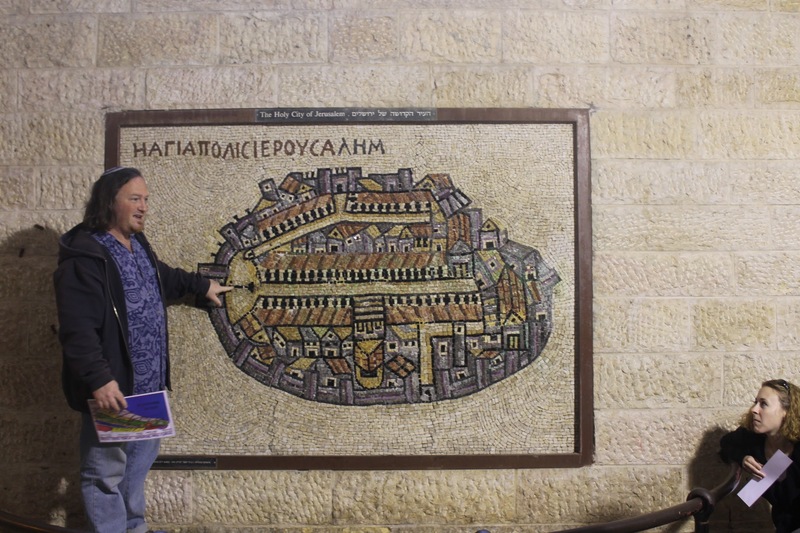 Old City Jerusalem), even those tours I try to tweak based on whatever interests my tourists express. Be it a different take on a familiar site, stress on a specific angle or focus within a full day tour, or visits to sites that relate to a topic of interest within the context of a multi-day itinerary, there are many ways that I can customize a tour to your wants. You just need to ask! A few of the more common specialties that I can address are listed on my Specialty Tours page. And of course, if you do want to stick with a more standardized tour, without any specific stress, check out a few Sample Itineraries from tours I have already done. These can also be used as a starting point for thinking about the tour that you want.